This is my first post on TC! I have aquired a 90% complete Egress chassis bin find. Where do I start? I welcome as much feedback as you can kindly offer. 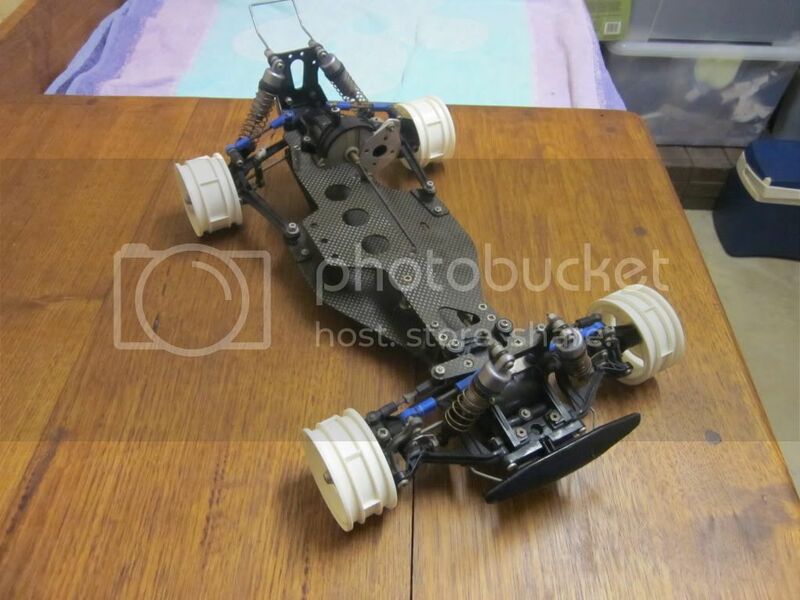 I have built Tamiya models before but I have never done a vintage rebuild! I have now downloaded the manual. 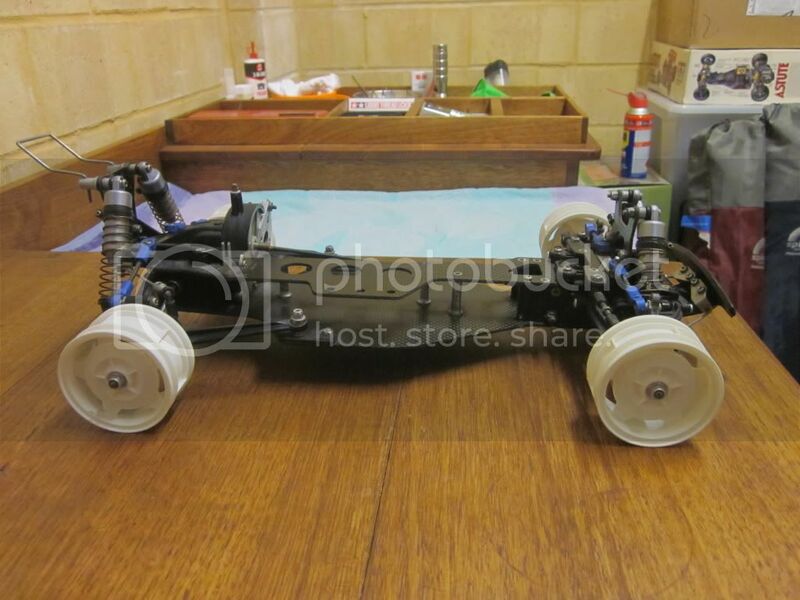 I need info on how to aquire parts, (do I need to subscribe in order to post wanted on this site)? 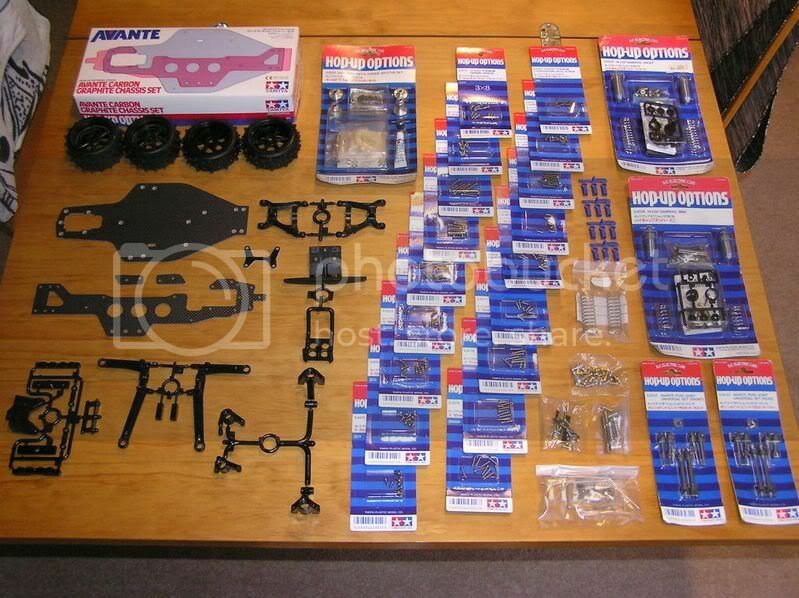 I need Tyres, body, plastic parts trees, screws, motor plate, steer link etc. Will the re-re Avante be a god-send? I have been impressed with how positive and helpful you all are. I will gladly post updates if anyone is interested. ps I also aquired my original Astute after 20 years in the same deal, it is complete but damaged , however that is another story! Thanks. This is my first post on TC! Check me for a brief bio. I have aquired a 90% complete Egress chassis bin find. Where do I start? I welcome as much feedback as you can kindly offer. I have built Tamiya models before and I have downloaded the manual. I need info on how to aquire parts, (do I need to subscribe in order to post wanted on this site)? I need Tyres, body, plastic parts trees, screws, motor plate, steer link throw me a dog bone here. Will the re-re Avante be a god-send? I have been impressed with the positivity shown by most members and hope that someone out there might show me the same courtesy. I will gladly post updates if anyone is interested. ps I also aquired my original Astute after 20 years, complete but damaged in the same deal, however that is another story! Thanks. That's one heck of a find - you have good quality bins in your neighbourhood ! Thanks for the encouragement, as this is my first post I am just stoked that you guys are interested! My uncle and cousin had the Astute after I had sold it to my brother years ago. Uncle had discovered the Egress chassis and had no idea what it was so I picked that up at the same time as I recovered the Astute! The Egress rear gearbox cover is cracked so I'm keen to see if this is compatible with Avante? The wheels look like Top Force so hoping for options there? I will start another post for the Astute soon, (I am hoping to use some Madcap parts to get this one going) but first things first, I have a flippin Egress "you beauty" (Thats Aussie for Hooraah). gearbox plastics should be usable from 2011. Ditto front alloy hubs and knuckles. Dare say you can even use the new-style CVD 'bones if you really hate the originals. Egress is longer than Avante so the body will look wierd & need ugly extra trimming to clear the rear arms. Ppl who upgraded their Avante to LWB CF chassis originally would usually use a Avante 2001 or Vanquish body. Repro Egress body should be available o/seas, hit me up if you're after stickers. Your chassis looks pretty complete anyways, nothing major missing. Wheels should be black lightweight/teardrop not white star dish. Proper Egress chassis screws are titanium so don't be heavyhanded, they're soft like butter. Thanks WC, not much wear in the drive train, gears, uni's etc. I would have to go with an Egress body maybe repro from Kamtec but dear. I will definately hit you up for stickers when I get there. Hey I noticed some screwed screws so There is another ? on my list? The biggest expenses will be finding vintage tires if you want to fully restore it. As others have said the body,wing, under cowl, and stickers are available reproduction, it should cost you about 100-120$ to restore that area. Replacing most of the titanium hardware is pretty easy also. Just beware new tamiya titanium screws use a hex head socket, original screws are Phillips head. The titanium screws are very fragile, they tend to shear off right where the screw is counter sunk. The cut for the philiphs is usually too deep and you turn a screw that is a little sticky in the socket that head will pop right off. So. Be careful. The screw sets run 5-10$ on eBay. The original front rims come up all the time, along with the front hybrid tires. Usually you can get them for 50-100$. The rears are a different story, they seem to be rarer and I've seen complete rear rim and rear tire sets going in the 150$. That's not to say you may get a bargain sometimes. You could also get some aluminum rims and aftermarket tires that fit no problem. I would say full restore on it your looking in the 200-300$ range, a very basic restore just get the body, repro body and some nice tires and rims and a motor for 200$ you could flip it on eBay in the 300$ range. If you had the original box and manual and extra parts for the oneway, you could flip it for 400$+ to the right guy. Right now as parts you would make over 200$ on it. I say restore the body and pick up some avante 2010 df03 rims and run 2.2 tires on it and have fun. Ti screws are soft and when overtightened, they stretch at the 'neck' between head and shank. When you put try undo them later, this weak spot fails - leaving shank in hole. Do the DI wheels have the same hex drive? The question I need answered most is How do I post wanted in trade section? Do I need to subscribe just to post wanted ad's? Cheers. Yes you do need to subscribe to post trades. Regarding your restoration, the cost will depend on how far you want to go with it, fix it up to run or to put on the shelf? And the latter will depend on how pedantic you are. Replace all used parts/marked parts for new will cost a small fortune as well as take quite some time especially for the more obscure parts. An original body set, wheels and tyres will cost you a considerable amount. If you want the correct Dynatech 01R motor, you are looking at over 100 GBP alone for this (nib) although used ones can be found cheaper. I'd personally fix it up to run, replace what you can with 2011 bits, if needed and get a repro body/decals. Modern motor, tyres, wheels. Thanks Rosey, I will be subscribing as soon as I've got a budget for the Egress and can't wait to start posting my projects. I'm definately leaning towards fix it up to run as suggested, maybe some 2.2 wheels and Tyres and a BZ Super Stock to start with. I do value everyones opinions and suggestions so please keep them coming and don't be scared to elaborate. Thanks again. And it's silly money now. As a result I wouldn't bother with a "full" restore to run it, for example, don't bother with Tamiya screws, just get an after-market set. The screws are actually the cheapest thing you can still get the older Phillips sets for under 10$, there is special hardware just for the egress but looks like you have it on the bin find. really the worst is going to be original rims and tires, if you go the full restore route. Perhaps, but you need more than 20 packs to fit out an Egress then you're still short 2 in lengths that you can't get loose from Tamiya... sure you end up with a few spare but even at $10 each that's over $200 on screws. I know, I did it. And I agree on the wheel/tyres. wow did somebody use a flat head screw driver on your original screws? usually you just need to replace a few bad screws not redo an entire car. of course if you started with something other then an egress and turned your car into one that is another story. so far i have less then 20$ invested in my egress for new screws. Yes, I was talking about the entire car of course! Not normally necessary I agree. NOPE 0 difference, same exact part, back in the day when you cold purchase an Avante graphite kit it came with everything!!!! Egress style rod ends, blue 8mm plastic conectors, longer prop shaft out put for the front gear box, rear shock tower, front and rear suspension arms, and the extra aluminum posts needed to support the upper deck. I had oe once NIB, used it to make a poor mans Egress from a broken Vanquish. Therefore everything you need for your restoration is now available, Tamiya is even rere the titanium screws although some are a little longer due to the thicker modern chassis. Id say that an Egress with the newere stronger plastics and aluminum hubs from the Avante wold be a great, fast, and strong runner. Good luck!!! You stated that a motor plate was needed, your pictures show that the motor plate is there. The manual shows a round flat motor spacer labled as motor plate I do not have. The motor mount plate is there. Hey it seams the re-re Avante will be great for my rebuild and for many others. When do you think suppliers will start to list spares or break down Avante 2011 kits for sale as spares? Anyone? There are tons of rere parts on the bay right now, only thing that isnt rere that you might need are suspension arems, although I never broke mine. Gearbox parts etc are on the bay now. It looks like you have the uber rare Egress only front shock tower, yellow springs, and front shock mounts so you are good to go there. Thanks Todd, I haven't started stripping it yet, however it does seam pretty honest. Just badly built with some seared screws, pinch marks on blue connectors and over tightening causing some cracks in plastic parts.